The obituary of J.D. Reid. This undated and unattributed newspaper clipping is posted to Pinterest. J.D. 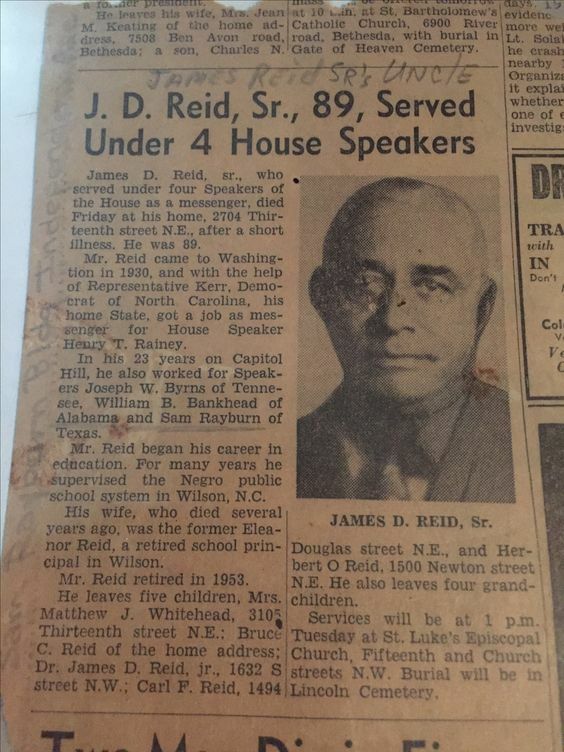 Reid apparently did not return to Wilson to live permanently after the Commercial Bank incident. This obituary appears to date from the early 1960s. ← Studio shots, no. 89: the Mobley family. Thank you, for this information. I wondered what happened to Mr. Reid. I see he moved from Wilson, to Washington DC. to become a messenger. That is a long way from being in education and an officer the bank.